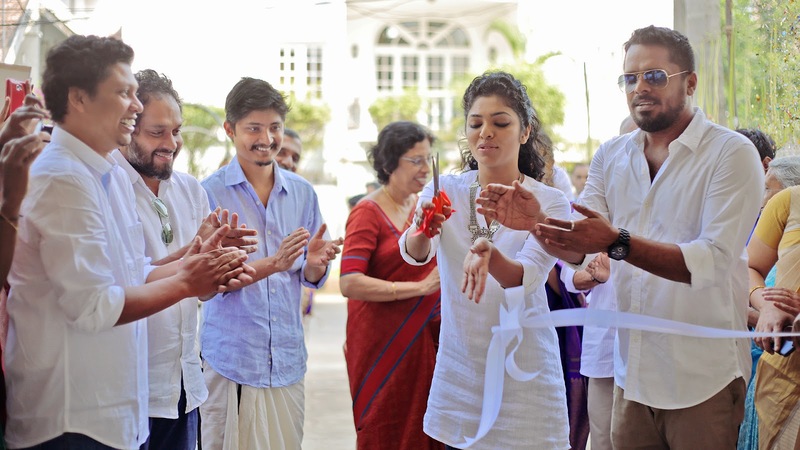 Kochi, January 21, 2015: helloDOC, India’s first primary and preventive healthcare centre, was inaugurated in Panampilly Nagar, Kochi by the celebrity couple Rima Kallingal and Aashiq Abu today. A membership-based lifestyle joint to promote healthy living, helloDOC offers both allopathic and ayurvedic doctors’ care, visiting specialists, doctors on call, periodical check-up, diet clinic, counseling, electronic health records, health store, organic bar and yoga studio among others, all under one roof in a friendly atmosphere, with an amazing ambience and a royal service to match. Dr. Jase John, Director, helloDOC and an allopathic doctor said helloDOC is on a mission to revolutionize the healthcare model with patient-centric care imbibing best of both the worlds. “We are the first of its kind lifestyle ecosystem blending both the Western and Eastern medical practices keeping in mind the sagely principle of Hippocrates, the father of modern medicine, that is “Treat often, comfort always”. So, what we would like to mostly prescribe are healthy meals based on our in-house dietitian’s recipes,” he said. helloDOC is a membership based family lifestyle clinic offers three types of memberships namely Select, Essential and Essential Plus. All types of memberships come with any number of consultations with the allopathic and ayurvedic doctors, routine periodical check ups, visiting specialists consultations on referral, up to 40% discounts on medicines, digital health records, e-mail correspondence with the doctors, half yearly reviews and graphical representation for easy understanding. Essential also includes a select number of tests and services packaged to suit the quality of life to the mid-risk demographics, aged between 30 and 45. Recommended for patrons above 45 with lifestyle diseases or who are smokers, Essential Plus offers, in addition to the tests and consultations, any number of visits for the dietician’s consultation, dental consultation and tooth cleaning and free and periodic doctor’s call on request. Dr. Varun Nishanth, Medical Director, helloDOC said the concept is the outcome of World Health Organization’s call for a strong primary and preventive healthcare in Kerala followed by a recent study among the 15-65 age group in the state. He also highlighted a report in the Indian Journal of Medical Research in its May 2013 issue which projected Kerala as the diabetic capital of India while adding the fact that heart disease-related deaths occur here as twice that of the USA. “Our health and longevity indices are world-acclaimed but we are sitting on a time bomb. If we do not act now, it’s going to be a now or never situation,” Dr. Varun Nishanth said. Organic bar to serve healthy meals exclusively for the members. “Once we establish soon in Kochi, we would be expanding to more locations so that we can open the helloDOC quality of primary and preventive healthcare to more people,” Dr. Jase John said.